The Black Sea region in Eastern Europe is fascinating culturally, geographically, politically and architecturally. There are few places in the world with as interesting a modern history. The region may be best known for its beach resorts and political turmoil but there is so much more to this intriguing part of the world. That’s the cool thing about misunderstood regions; you can experience and learn what others cannot by actually going and seeing it for yourself. Of the many countries that border the Black Sea, Romania is my favorite. In fact, Romania is one of my favorite countries in all of Europe. The port of Constanta is actually the 4th largest port in Europe and one of the most intriguing. Constanta is a great place to walk around and experience over 2500 years of history. The 3rd largest city in Romania, Constanta is worth checking out for its old town center, monuments, ruins, casino, archaeological treasures and proximity to the beaches at Mamaia and other resorts. 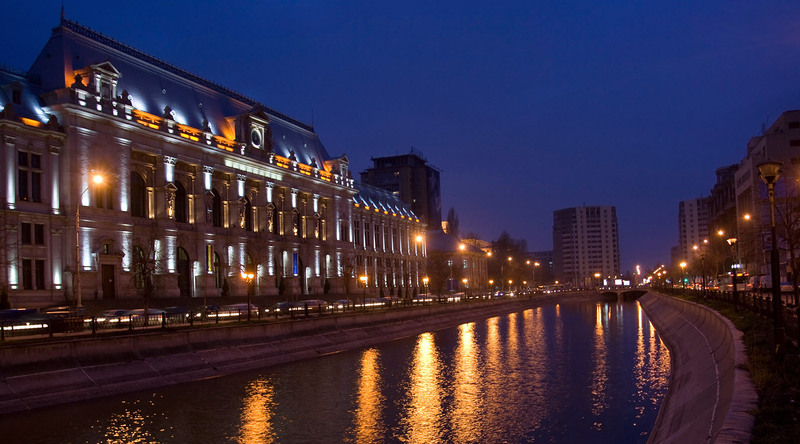 Constanta is also a great place for nightlife and restaurants. I had one of my favorite meals in all of Romania at Toscana. Inland from Constanta lies Romania’s capital, Bucharest. Bucharest blends its checkered history in plain view. You can freely see the ugly face of Communism all over the city that was created and flaunted by their two plus decades dead former dictator, Nicolae Ceaucescu. Then you stroll down Parisian style boulevards and look at grandiose, beautiful buildings. You turn the corner to see dingy side streets flanked by soviet style high rises next to a gorgeous 18th century church and a modern restaurant. I love getting lost in the cobblestoned streets of old town Bucharest. They are old-world charming but now lined with trendy cafes and bars. That’s the charm of Bucharest; the last 100 years of history are right there for you to witness. Street performers light up the streets and alleys in the evenings. Young synchronized dance teams; trick bicyclists, puppeteers, comedians and buskers alike entertain tourists and locals in the early evenings in old town. The bars and restaurants literally spill out onto the streets as tables are packed and the food is delicious. Prices are cheap, beer is cold, fashion is all over and Romanian people are amongst the most attractive in the world. Definitely have a look at both Constanta and Bucharest: fascinating cities blending old and modern. Azamara Club Cruises has 2 ships calling in Constanta this year with optional excursions to Bucharest leaving out of Istanbul, Turkey on August 20 and on September 1.